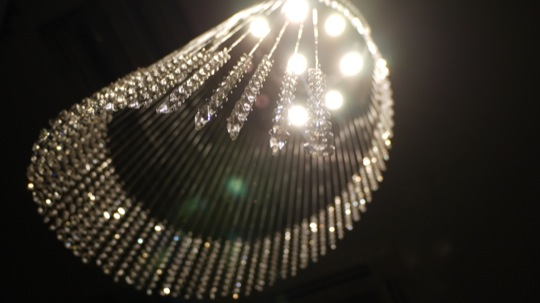 The Bandeau Chandelier design is new for 2013, perfect for high ceilings in a home or business this design is delicate and unimposing whilst still offering a stunning impact. 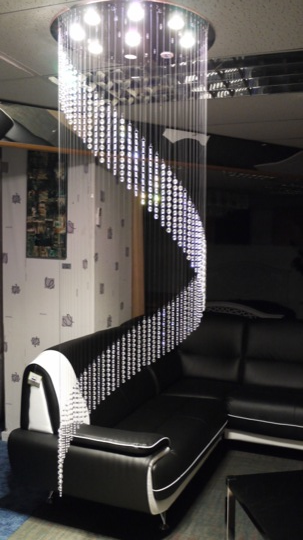 This design is adaptable in many ways to suit your interior. 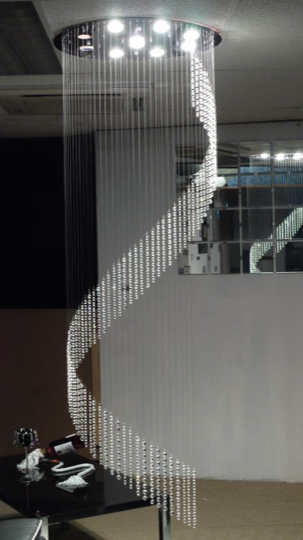 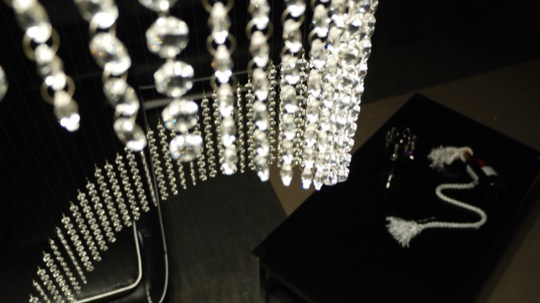 Multiple twists can be added to extend the drop to any desired length, we can fabricate the plate to any desired size, just get in touch to discover how easy it is to work with us on your desired lighting design.